I have been a full time professional Real Estate Broker, skilled negotiator, trusted advisor and expert facilitator for over 25 years. My loyalty, perseverance, and dedication to clients are shown by being with the same company rising from a sales associate to both a Broker and owner during that time. "John is the best agent that we have ever worked with. He got us more money for the sale of our home and when we placed our listing in his hands he did it quicker than any other agent that we worked with. He was knowledgeable and professional. You will not go wrong with his help or advice!!" 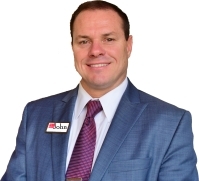 "John was an aggressive, knowledgeable realtor who was a pleasure to work with. It was his expertise that allowed us to sell our house so quickly. The experience went very smoothly because of John and his team. Thanks, John!" " John Tremaine was the up most respectable Realtor I could ask for !! He went above and beyond the call of duty for me and my situation !!! even in the toughest market he found the buyer and made the deal go smoothly. He actually became my friend over the deal and I will recommend him every chance I get. His office staff is right with him for Quality Service !! Thank you John Tremaine!"